Gutenberg Element With Visual Composer, you can use a new and emerging WordPress editor which is called Gutenberg. We know you got idea about Gutenberg element that is use in wordpress website. The core idea of the Gutenberg is to replace the short code with the modules that can be used anywhere on your website. More modules created for the Gutenberg will importantly expand your website design capabilities. 1. Use Gutenberg editor within Visual Composer layout. 2. Add Visual Composer templates in Gutenberg layout. - Important Note: If you need to access Gutenberg editor, make sure you have installed Gutenberg editor in your WordPress site. For the Premium users of visual composer website builder. Visual composer offering element ‘Gutenberg’ which can downloaded from the Hub. Once download successful, It can be inserted anywhere in Visual Composer layout. - Another Important: Using Visual Composer, you can insert an unlimited number of Gutenberg editor blocks in the same layout. 1. In Visual Composer open the Hub and locate Gutenberg element. 2. Download Gutenberg element to add it to your elements list. 3. 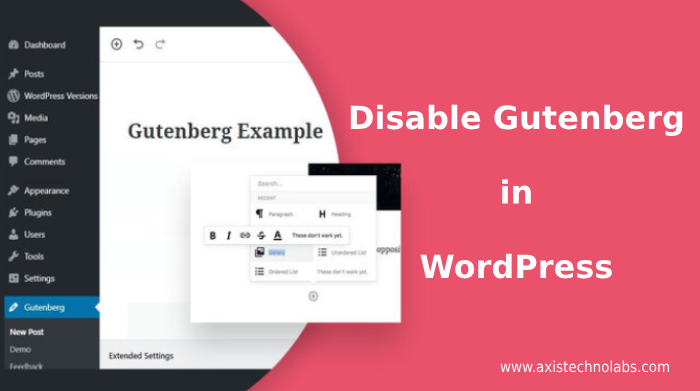 Make sure that separate plugin ‘Gutenberg’ is installed on your WordPress site. 4. Add Gutenberg element anywhere on your layout. 5. In the editor, form click the button ‘Open Gutenberg’. 7. Close the Gutenberg editor. 8. Save changes to your page. How to add Visual Composer template in Gutenberg. 1. Download Gutenberg template block from the Visual Composer Hub. 2. In your Gutenberg layout, select to add new block. 4. Specify the template from the drop-down list. We understand that not all people are excited about Gutenberg. Especially if you already have your content made up. So, this is obvious that you may want to disable the Gutenberg editor. 2. Navigate to Visual Composer –> Settings. 3. Locate the Gutenberg settings and select disable (Off).